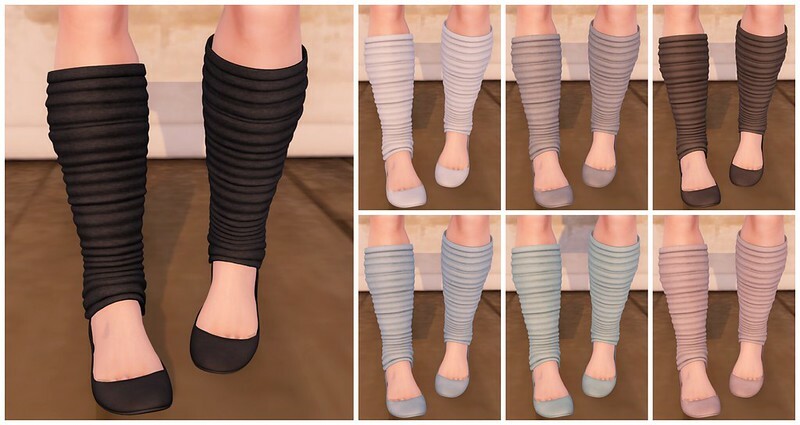 Fri.day has released these fabulous heels for the SLink high feet and some adorable flats with leg warmers for the SLink flat feet. The Miranda Heels are available at Collabor88 and the Emma flats are available at The Seasons Story – in many different colors. The Boutique is opening tomorrow with lots of amazing items, oneof which I’m using today. This stunning necklace and earring set from Cae called Descend, the gemstones are texture change and come with two different metals on a HUD. I’m also using two great poses that will be available at the Poser Pavillion from Picture This, called Fashion Stance.